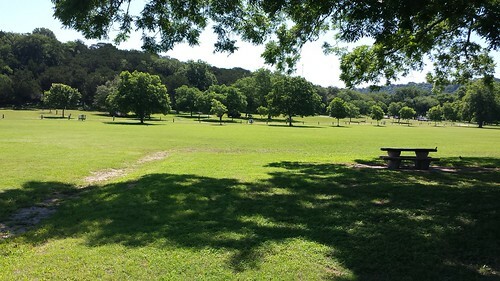 NOTICE (4/19/2019): Emma Long Metropolitan Park will be open over the Easter weekend, however, please be aware that when the Park reaches capacity, the staff will be closing the gates. *Hours are dependent on availability of staffing. A park entrance fee is charged per day per vehicle at the pay station. $5 per day, Monday through Thursday. $10 per day Friday through Sunday, and Holidays. Pay stations should be used for all Day Use Entry and by campers for entry when cashier is unavailable or after hours. Payment method: Credit cards and coins will be accepted at the park entry area automated pay stations. CASH is NOT accepted for park entry fees. A vehicle entry fee will be charged. Fees shall be paid at the booth at check-in. Check out must be complete by 12:00 PM (Noon). Online Camping Reservations Required! Check availability online NOW - plan ahead! Pets must remain on leash and under the control of the owner at all times. Collection of fire wood at the park is prohibited. 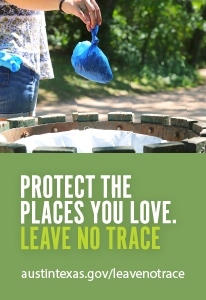 Glass containers are prohibited in the entire park system. Smoking is prohibited in all park areas. Violations are a Class C Misdemeanor. Amplified music/sounds/dj’s and/or bands all require a sound permit, and are ONLY issued for the picnic table(s) with a paid reservation. A person may not operate sound equipment in a watercraft audible or causing a vibration 100 feet from the equipment. 8-5-81 - WATERCRAFT AND OTHER MOTORIZED CRAFT ON LAKE AUSTIN. (A) A person may not use or possess a jet ski, wet bike, motorized surfboard, or similar device on Lake Austin: (1) from sunset on the Friday before Memorial Day until sunrise on the Tuesday after Memorial Day; (2) from sunset on the Friday before Labor Day until sunrise on the Tuesday after Labor Day; or (3) from sunset on July 3 until sunrise on July 5. By City Code and Park Rules, all organized events require permits to ensure proper planning and logistical coordination. This includes all tournaments that require admission or participation fees. This ensures successful experience for those proposing tournaments, while maintaining public park access. Applications are strongly encouraged to be submitted a minimum of 4-6 months in advance to ensure organizers have sufficient time to prepare permit requirements such a use fees, insurance and related submittals. Use this form to apply, or go www.austintexas.gov/parkevents. 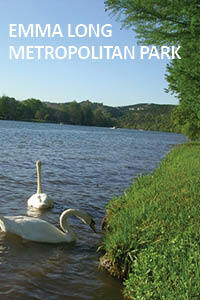 For years, the park on Lake Austin was named City Park. Then, on June 28, 1984, Mayor Carol Keeton Rylander, proposed to the City Council that the park be renamed for Emma Long. Emma Long was first elected to the Austin City Council in 1948. During her tenure, she reactivated the Parks Board and became a long time supporter. In 1967, she became the first woman to serve as Mayor Pro Tem in Austin. She also supported an Open Housing Ordinance and in 1969, she became one of three Council Member to lose reelection, due to their support of the ordinance. The unveiling renaming the park took place on Friday, December 10, 1993. “It’s nice to have a park with a lot of natural features”, said Long. In clarifying park names, she distinguished herself from Walter E. Long, “we are no kin, in fact he thought I was radical. We later became friends”. Her political career spanned nearly two decades.